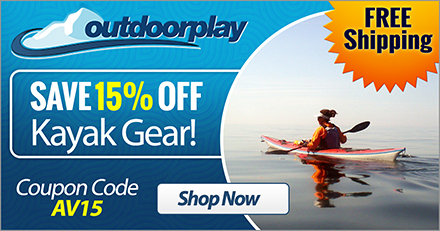 What to choose…paddle boarding vs kayaking? Well, they are both great on the water green sports. Green meaning they don’t use a motor and are great for the environment. But, no motor also means peaceful. The Paddle Board will give you a great core workout without you even realizing it as you enjoy your surroundings. Not only are you using your core muscles your balancing your whole body at the same time. Kayaking can give a good core work out as well, but maybe not as intense as the paddle board, which is a bit more of a full body fitness play. 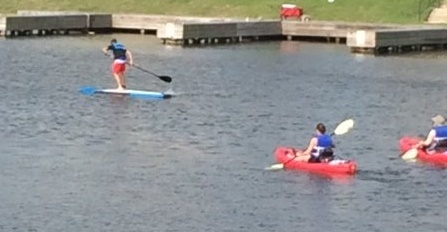 Both kayaking and paddle boarding give you great workouts with your arms and shoulders as well. Why go to the gym when you can get such a great workout outdoors and enjoying mother nature? Paddle Boarding is a stand-up sport. But kneeling or sitting is still an option. As stated above, this will involve more of your entire body than that of the Kayak, however, paddle boarding vs kayaking both are great for cardio and muscle strength. This is more of a personal preference than anything really. Consider if you’re not comfortable sitting for any length of time and kayaks can be slightly claustrophobic, just something to consider. When considering paddle boarding vs kayaking, both allow you to pack gear, however, the paddle board would be more backpack style if you plan to go on a river and camp alongside the river, however, some boards do have straps on them now. Both of them you could get wet and neither require a ton of skill. A little practice and anyone can pick it up rather quickly. And, it can be fun at any age. The Kayak is a bit harder if you were to fall out in deep waters for people that aren’t as flexible, however, the chances of that actually happening by mistake are pretty slim. Paddle boarding in the United States is a fairly new sport, whereas Kayaking has been around for awhile. So, picking up used equipment for a kayak would be a bit easier than a paddle board. There are just more out there. The newer versions, of course, are always more improved. There are nice supportive backs for your Kayaks and improved luggage storage. So, really, you should just ask yourself what it is you want out of a kayak or paddleboard experience. Is it something you would do often and how easily portable do you need it? Both fit nicely on the top of cars and they even make nice racks to haul them around in. They are both sports that one can do alone or with a bunch of friends. The versatile features of these sports are incredible. And, there is little equipment to invest in and maintain. The maintenance on a kayak and paddle board is really very little. You might have to hose down the bottom should the water you are in contain a bunch of minerals. Or maybe use some de-rust agent from time to time. But that’s really about it. They don’t require any sealing or waxing like a snowboard or boat. The resin is pretty indestructible. This is fun for the entire family or go it alone. You can fish with either of them as well. Carrying your gear in a backpack on the paddleboard or in the kayak is a pretty simple task. 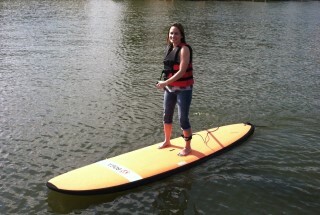 It may take some practice with a Paddle Board as the balance will eventually come to you. But, learning how to stand for when the fish bites usually can take a bit. So, get out there and enjoy the water in peace and quiet!